Jim Mesi passed away in early March. 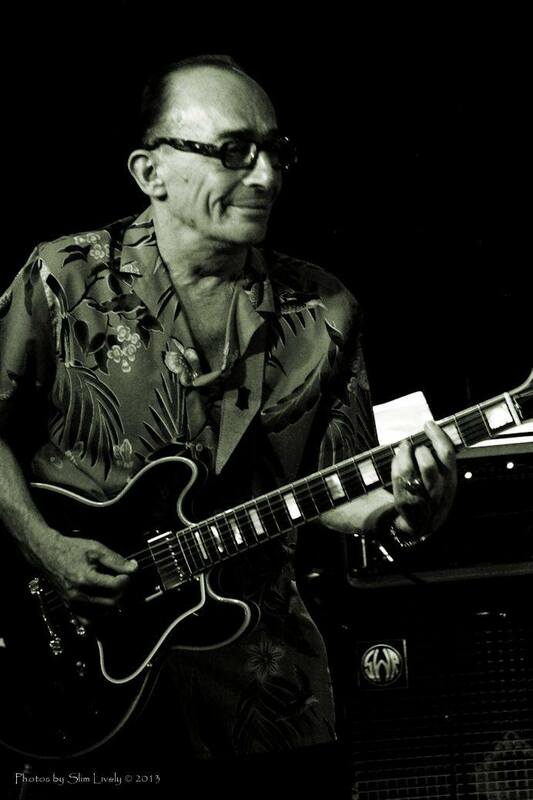 He was an icon of the Portland music scene, having played for more than fifty years at the very top level. Throughout his career in Portland, and for a short while in Seattle, Mesi inspired countless musicians. 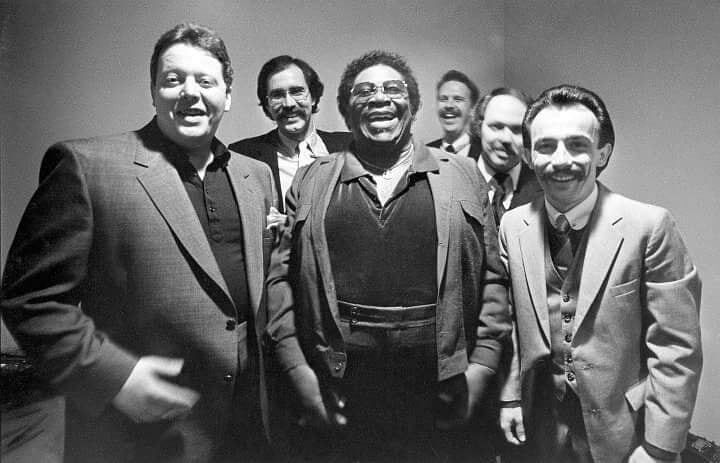 In tribute the Cascade Blues Association offers but a handful of memories from friends and peers. There will never be another Jim Mesi. The word “legend” is most fitting for this unique man — one of the most talented musicians not only in Portland or the Northwest, but among the very best to be found anywhere. 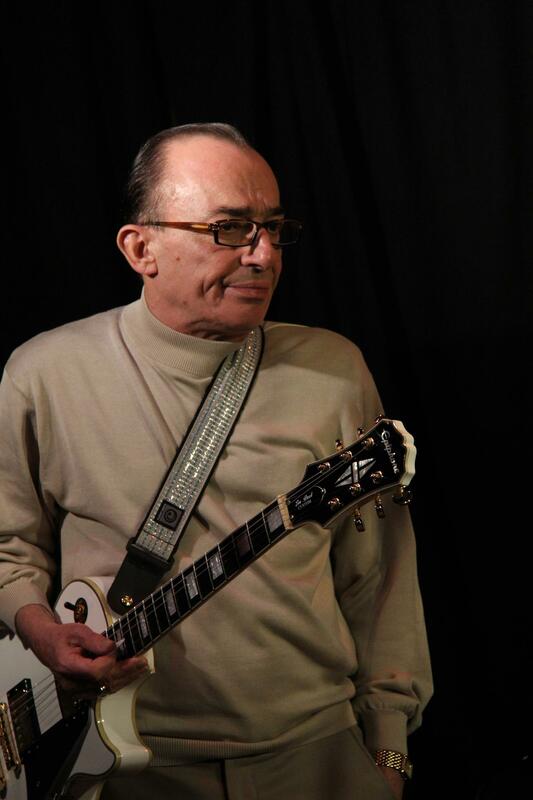 Lloyd Jones: The passing of legendary guitarist (and lifelong pal) Jim Mesi hit hard! His powerful brilliance and demolishing swagger still ring in my memory. From the shine on his shoes to the sparkle in his tone, there was great pride in every performance. Jim’s list of fans included BB King, Billy Gibbons, John Hammond, and more. On my wall at home is a photo of Mr. Mesi bringing a smile to Les Paul’s face while sitting in together at a club in New York City. Who can say that! Ed Neumann: Having played with him the last 20 years he has ruined me and I will miss him every night, but I will continue to laugh at his SO very many jokes and quips. I am a very spoiled man. 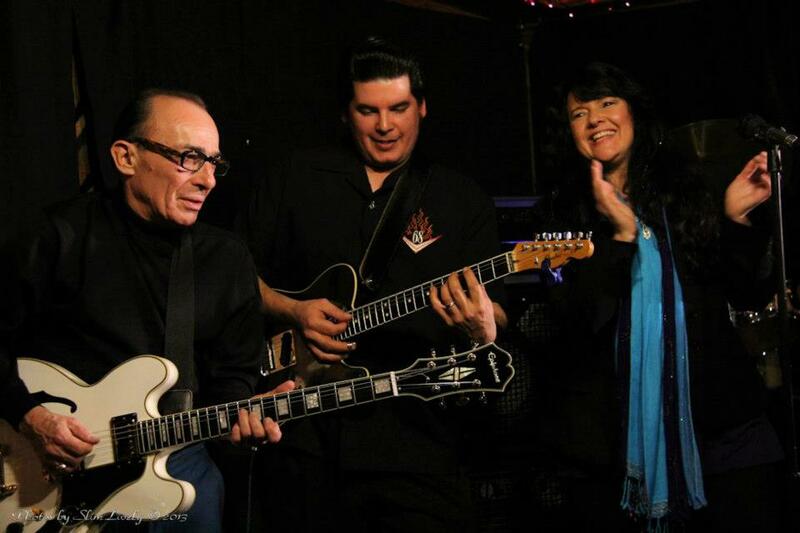 Terry Currier: Jim Mesi’s contributions to the Oregon music scene was vast. 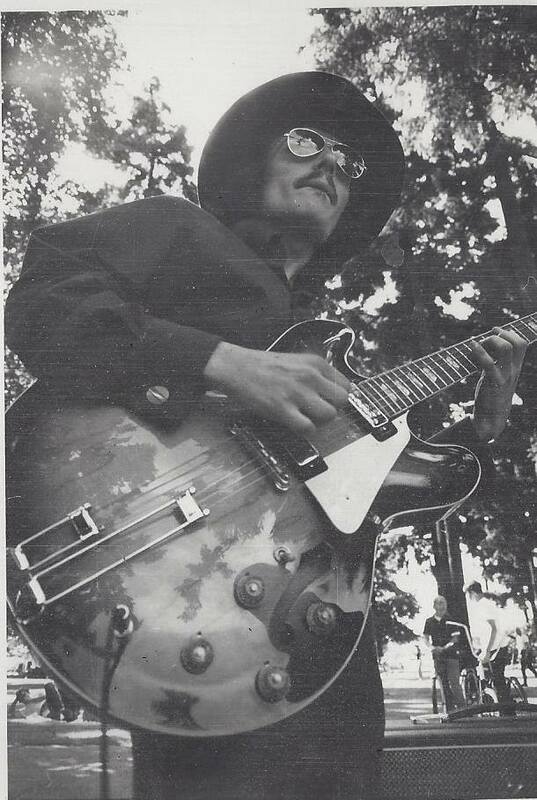 From the late 60’s on he was known as one of the area’s best guitarists in the state. 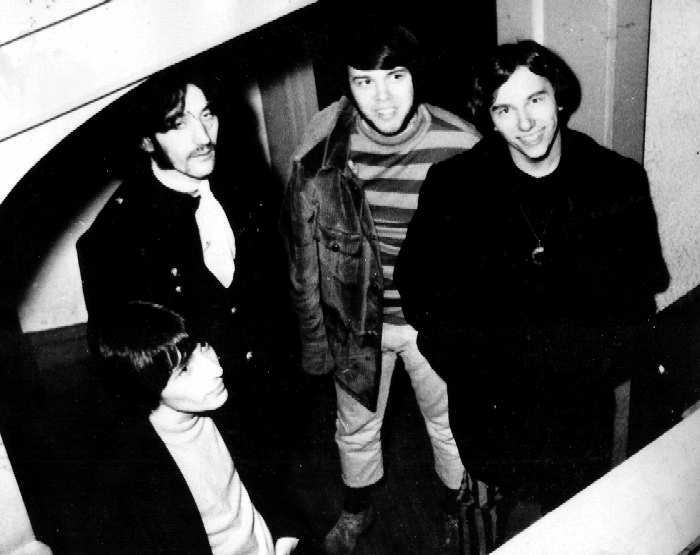 From early bands like Wrinkle and Brown Sugar (a band that would launch careers for other local musical heroes Paul deLay and Lloyd Jones), to his long time musical relationship with Steve Bradley playing a combo of rock and blues, the Paul deLay Band as well as his countless incarnations of the Jim Mesi Band, his guitar playing excelled. I often heard people state when other blues guitarists came to town “Why is Jim Mesi not as big as this artist? He’s definitely as good or better.” He was definitely a master of his instrument and I was definitely lucky to see him play so many times over the years. Don Worth: I’ve know and respected Jim’s talent, and wardrobe, for almost 50 years. I will miss him and his wicked sense of humor. His passing will be the end of The Loser’s Club. I have years of great memories from those Tuesday “meetings.” RIP Jim. Chris Carlson: I was gobsmacked the first time I heard Jim Mesi play the guitar. And every time after that. It wasn’t just the amazing bag of tricks that he had, it was the seemingly endless well of ideas. And that soul. And the humor. Man, that guys was funny. I had the chance to buy a pedal steel from a buddy of mine, but I didn’t know anything about pedal steel. So I called the only steel player in town that I knew – Jim Mesi. I described the instrument to him, he said, “Buy if! I’ll show you how to play it.” I did and Jim taught me the fundamentals. I still owe him dinner for that. Whether it was seeing him play or hanging out at a bar, Jim always made me laugh. Paul Jones: Saying that Jimmy was Talented is a vast UNDERSTATEMENT. He was truly amazing as a musician and a friend. I was fortunate to have played music with him for 53 years. Never heard him play the same thing twice! He’s in my soul. I will always hear his laughter. 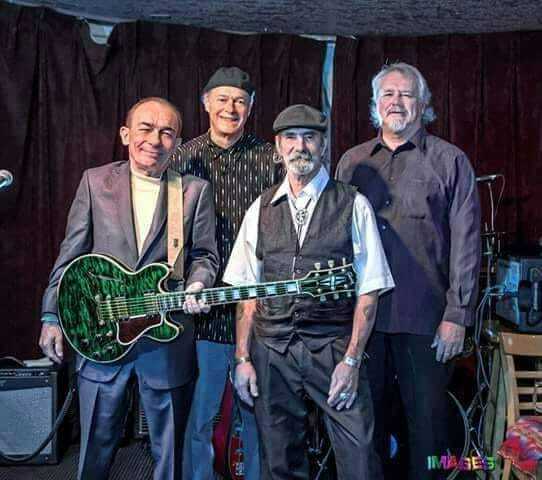 Mark Dufresne: Back in 1979 when I first came to the Pacific Northwest I would go down to Seattle from Bellingham where I was living and occasional meet up with local blues players trying to get my own thing going. I met a great Harp player named Kim Field (who now resides in Portland) who would sometimes make tapes of various musicians for me. One in particular was of Paul deLay that completely blew my mind. Just a live tape in a Portland haunt, probably Sac’s Front Ave. I had never heard quite anyone like Big Paul, (harp-wise, vocal-wise) The band arrangements were stellar. As much as Paul’s brilliance on this cheap tape (which I still have) the guitar playing was killing me. I asked Kim, who is this Monster. He was to the guitar what Paul was to the Harp. Unique, and recognizable every time you hear him. I played this tape to people for years and every time they would ask me about the Guitar master on there. I could only say his name was Jimmy something, an Italian name I’d say. I caught them at Bumbershoot in Seattle in 82 with the great Dave Stewart now on keyboards. This was a special band. Few have equaled it anywhere. At the time Jimmy’s approach to the fretboard was amazing. A man who was his own thing but yet could play within the sometimes strict parameters of the roots music scene. R&B or even country sounds he handled with absolute confidence and unbelievable chops. I feel so blessed to do even a small portion of work with him. When Jim moved back to the Rose City he would often invite me down to hang and sit-in. He introduced me to Dave Kahl, Dickie Burns, Steve Bradley and a very dear friend, Mike Moothart. Actually I consider all the members of that Mesi unit as good friends. Of course they would always have me sit-in whether it be Portland or Seattle. I will be forever grateful for this. Jimmy was a one of a kind individual. A lot of us would try to do our best Mesi impressions complete with the cigarette and quick turn of the head as only Jimmy could do. What a thrill to have a musician of this caliber encourage and let you take part in some of his excursions. I loved his Surf stuff with Bradley. He played with one of the most fearless attacks on his instrument of anyone I have ever known. To know the Italian Chainsaw was to love him. I shall miss him dearly an as a friend and as musician who had a lasting impact on me and many, many others. Terry Robb: I had the great honor to know Jim Mesi. He was not just a fantastic guitarist, but a great musician. I was a huge fan from when I first heard him in 1971. Later, we became friends and we had a lot of laughs together. It was always really special to play with him. I can’t say enough about what it meant to receive a compliment from him. No one played like him and no one was like him — a true original. We would always laugh about how independently of each other when we were kids, not knowing each other. We would both go to Gateway Music to stare at the Gibson SG they had in the window. He and the late Buddy Fite were the most inspiring guitarists you could ever hope to see. It is overwhelming how much I will miss him. Bob Lyon: This is tough . . . what I remember can’t be printed . . .
Duffy Bishop: Jim Mesi was a mesmerizing master of the guitar, with a persona far larger than life. He was a truly unique character, a sharp funny man who could crack you up one second and then wow you with his brilliant playing the next. Mesi had natural spot on timing in his humor and this vast musical ability. The anticipation he’d instill, seeing him drive up in of his cool classic cars, hop out dressed to the nines in audacious, colorful garb and footwear, and then pop the trunk of the long car to reveal even more sleek, stylish suits, more fancy pointed Italian shoes, and many cases filled with flashy, personalized, killer guitars. He could have had his own TV show, and we all would have tuned in not to miss it! Nico Wind Cordova: I was a skinny wisp of a kid in 1974 or so when I first met Jim Mesi. I had the determination of a pit bull to become nothing other than a full-blooded musician at that time. I used to go to this place called Sac’s Front Avenue; it was one of the hottest venues for the emerging Portland blues scene. Sac’s hosted and promoted local and regional bands. It was here where I would be exposed to the artists that would blaze the trail for what we now consider to be the royalty of the Portland music scene. 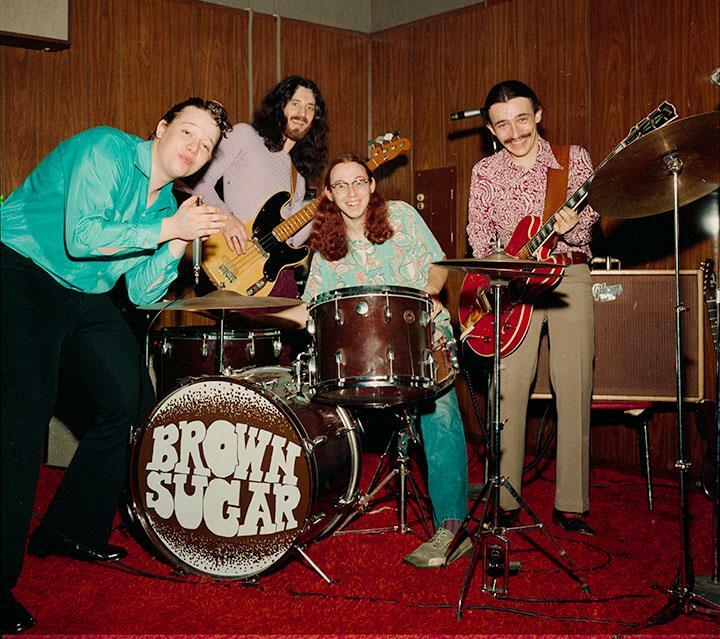 One of my favorite bands of all time was Brown Sugar; its core members were Paul deLay, Jim Mesi and Lloyd Jones, and I went to see them whenever I could. My friend, John Henderson, aka Westside Johnny, a harmonica student of Paul’s, prompted me to ask Paul deLay if I could sit in and sing a song with him and his band. Paul took a quick up-and-down look at me, raised one eyebrow, and pretty much blew me off. But Jim encouraged Paul to let me do a song. He was pretty vocal about it, advising, “Everyone started somewhere – even you, Paul.” The next thing I know, I’m standing up on the stage with all these guys looking at me, my knees shaking so hard I can hardly stand up. Jim directed me: “Okay, kid. This is it! What are we doing and what key is it in?” I managed to spit out, “‘Little Red Rooster’, by Big Mama Thornton, in the key of G.” Jim raised an eyebrow at Paul, and it was on! After it was done, Jim said, “Let’s give a hand to the little kid with the giant voice.” I’ve never forgotten Jim’s raising me up like that; later on down the road, he would continue to give me opportunities that helped sculpt me as an artist. After touring with my own bands for decades, I came back home to re-introduce myself. Again, there was Mesi and his bandmates, inviting me into the light (along with a lot of other mainstage bands that included Curtis Salgado, Bobby Torres, DK Stewart, Norman Sylvester, and many others). I met my husband, Seth Cordova, eighteen years ago at the Candlelight Cafe and Bar. Seth had been on tour with Jim Mesi as a second guitar player; it was one of Seth’s greatest opportunities when Jim took him under his wing. In 1995, Jim informed Seth, “I’m doing another USO tour, so get your stuff together, get a passport, and let’s go! Seth was working for Bob McDonald at Blaze Jose’s, one of the places where Jim held The Losers’ Club meetings. Bob was gracious enough to give Seth the time off so he could go on tour with his mentor. Years later, after the loss of Jim’s son, Christopher, Jim asked Seth to move into his home. Seth lived with Jim for a year or so while he grieved; part of Jim’s healing included focusing on teaching Seth to play guitar. 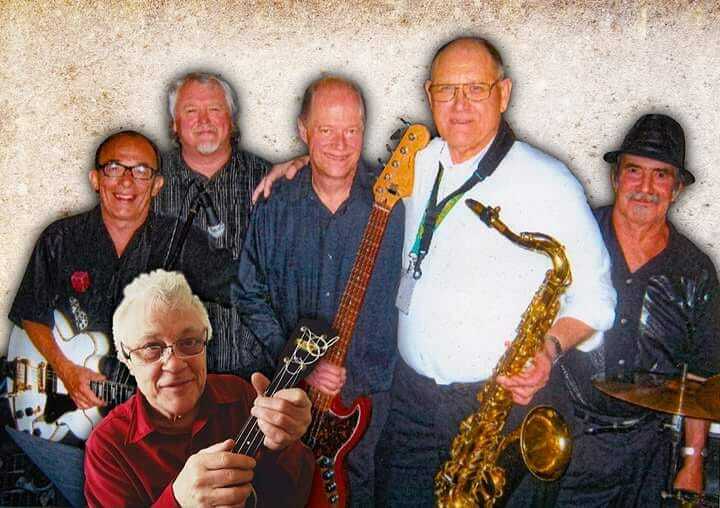 When Seth and I started the Free Rein Band, it was The Jim Mesi Band that spring-boarded it. Jim agreed to join our first gig as Free Rein at the Candlelight, the last week it was open before getting bulldozed. We played our hearts out, and that would set the bar high for our future as a band. In 2016, I began work on a project designed to acknowledge and inform Portland music lovers about the legacy Portland’s talents (like Salgado, deLay, Fountaine, Whyte, Ross, Steele and others) had left them through the years. 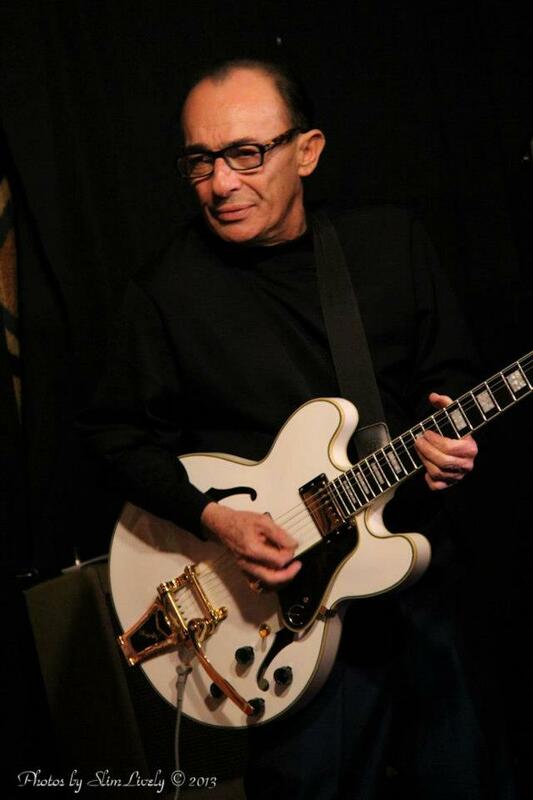 Nico’s Road Dog Tales ‘n Jam featured a number of these well-known musicians, including Jim Mesi, in an hour-long interview on stage followed by sometimes hours of a jam with each interviewee and our Free Rein Band. It is only appropriate that I release the Jim Mesi episode of Road Dog Tales as the pilot for our mini-documentary series that honors and preserves the legacy of our treasured icon, friend, and mentor, The Italian Chainsaw – Jim Mesi.